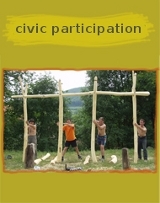 Foundation for Democratic Youth - DIA: European Youth Service Day Newsletter No. 1. 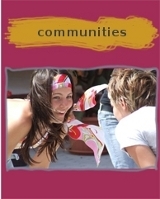 European Youth Service Day Newsletter No. 1. This is the first edition of the bi-weekly newsletter of the European Youth Service Day project. We will provide you with all the information you need to be able to organize a successful EYSD event in your country. The Foundation for Democratic Youth (DIA) and Youth Service America (YSA) launch European Youth Service Day 2011! EYSD is the European version of Global Youth Service Day (GYSD), which is an annual campaign that celebrates and mobilizes millions of children and youth who improve their communities each day of the year through service and service-learning. Established in 1988, GYSD is the largest service event in the world, the only one dedicated solely to youth engagement, and is now celebrated in over 100 countries. On GYSD, children and youth address the world’s most critical problems in partnership with families, schools, community and faith-based organizations, businesses, and governments. By launching EYSD, we hope to create a better cohesion among the different youth service events in the region, as well as a European tradition. The Foundation for Democratic Youth (DIA) is a public benefit not-for-profit organization, whose mission is to create opportunities for youth to develop democratic values and skills through experiential learning. In order to achieve this, DIA is developing young people’s citizenship skills through community-based learning in Hungary. Thanks to the successes of DIA’s KöZöD! National Youth Service Day, which it has been organizing for six years now, DIA was selected as Regional Lead Agency for Global Youth Service Day 2011. DIA will do its best to share the experiences and the know-how in working with over 20 000 young people in more than 300 local communities every year. In each issue, we will present a different country, and elaborate on how they manage their GYSD projects. We decided to start by ourselves, but we hope to present other countries, such as France or Croatia for example, as well as countries from outside Europe. 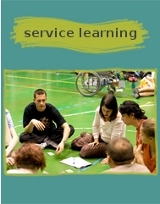 We started to organize our National Youth Service Day in 2006 when we were thinking of giving more visibility to youth volunteering and service in Hungary. We called it KöZöD! (Get involved. ), which in the following years became a rather well-known brand in Hungary. In the first year we were able to mobilize around 1 500 participants throughout the country. The following year, we decided to make the campaign more visible and creative, so we contacted all the Hungarian secondary schools. Many schools responded positively, while groups from the previous year were happy to come back. Most of Hungary’s population lives in small villages where young people have very little to do in their communities. These villages soon became our base and groups keep coming back with new project ideas. One must add that without DIA’s local presence through its regional coordinators, many of the projects would not come to realization. Young people, however creative they may be, often lack project management and fundraising skills. Since 2006, numbers keep going up, although that is not the main issue here. What we hope to show to other countries, who might be just thinking about the possibility of joining EYSD, is that it does not have to be big. Not in the first year, not in the second one. Numbers are not the issue here. The issue is, we believe, to send a clear message to the young people. And the message is that if you see problems around yourself, in your community, you do not have to wait for others to solve these problems. You can do it with your friends. And in our experience, somehow, numbers just come along.